Web-based software & apps? Even a moderate success in the global market is extremely profitable. So how do you navigate the quite challenging path to success? Small-scale steps or explosive growth? Product marketing evangelist Erik Seifert shares tips and experience as a guest blogger at TBK Consult. The prize is in sight. Almost within reach. But getting there requires navigating a path that is elusive. Sometimes invisible. Achieving global market success for web-based software and apps actually requires quite a bit of hard work. An experienced approach to product marketing and communication. Storytelling. Scalable marketing. “If you want to lay your hands on profits … and not just send yet another app on the market with a kiss and a prayer, don’t skip the product marketing steps. Call it branding, positioning, or product marketing, it really is critical to creating a scalable operation. So why treat it as an afterthought – or omit it in your preparations?” asks Erik Seifert, founder of Atlantic Crossing. Atlantic Crossing helps technology companies go from products to profits, and from local to global. TBK Consult is an international network of management consultants that help IT companies grow locally and globally. Article about Atlantic Crossing's 25th anniversary, by Hannah Lund via LinkedIn. You try to write, call, or chat to guide the client through the change. But it's painful to the client, and you're the one that, although acting in the client's interest, are forcing him through this hellish experience – so if you can get the client to react to your requests at all, it's your fault that the change even has to be made. At least one registrar, GoDaddy, has now launched GoDaddy Pro – a solution for web professionals who may be granted controlled access by their clients to their respective GoDaddy accounts. Available in a beta version at the moment, it enables your client to tell you to go ahead and make the desired changes. While the client still retains control over her own domain(s) and password privacy. Some web professionals who have registered a number of domains with GoDaddy have been invited already. If you haven't received one, you may ask for a beta account invitation at https://www.godaddy.com/pro. Even though this blog is about software revenue acceleration, we'll use hardware as an example to discuss the effects of brand extensions. The literature is full of warnings against extending a successful brand, for example Coke into New Coke, Classic Coke, Diet Coke, Cherry Coke, etc. - the risk being that the brand will represent so many things that it loses its original positioning and becomes more or less meaningless. In an article on CNN Money Cyrus Sanati argues that the Think brand is best kept under the same roof as the rest of the Lenovo line. Because if it becomes autonomous, it will have a great incentive to try to cover a broader market. Which will water down its own positioning as THE brand for the Excel- and Powerpoint-toting MBA's of the world. In my view, it would also water down whatever brand value Lenovo might have built up in the consumer segment for its namesake brand of PC's. Anyway, the article is well worth reading, I THINK. "No one likes to pay for things they don’t use. If you’ve ever grappled with the fact that you’re paying for 500 channels on your monthly cable bill when you only use a few, you know what I mean. The same problem holds true when it comes to software. An average business purchases more software than is actually needed, and we’ve all had software installed that we used sparingly. It’s time to let customers pay based on what they actually use." Which is true. But Sobol assumes that subscription models are all based on per-user, per-month pricing schemes. Which is not true. SaaS pricing today is all over the map, with many vendors trying to align their prices with the actual benefits their customers experience. For example, pricing per no. of transactions, per no. of pages/websites/domains, per some amount of transaction value, per volume of data storage, etc. It all depends on the specific benefit set that the SaaS in question provides. And, most of all, on customer preferences, for example: the certainty of knowing the cost every month vs. the potential savings of a more variable plan. The original post contains an ongoing discussion that sheds light on many facets better than yours truly can do here. So, mobile maven Scott Forstall got the heave-ho at Apple. Apparently a couple of solid missteps with Siri and maps ensured this veteran's departure. And a lot of e-ink will be spent on explaining just how that came about. But from a Product-Centric Marketing angle, the departure of retail chief John Browett is more interesting. Browett was hired from British electronics retailer Dixons just eight months ago. Now, in eight months no one can really prove himself qualified or unqualified as far as sales results go. So something must else have surfaced. CNN Money points to the obvious question why the former head of a (foreign) discount retailer woukld be the right person to run the retail arm of a premium-product company like Apple. My guess would be that, possibly in addition to the discount/premium issue, Browett faced an enormous hill to climb. We must assume that a seasoned sales executive of a retail chain has great skills at taking a variety of products and marketing these effectively, earning a profitable markup along the way. The job is a lot about operations, being efficient and motivating sales employees. The Apple job, however, is all about the PRODUCT, or the product experience, if you will. Any Apple salesperson is an evangelist, or what we could call a Product Matter Expert (as opposed to the oft-referenced Subject Matter Expert). And they are motivated by working with the right product, one that they believe is truly superior. I would guess that Browett had a hard time making that switch, from operations to product-centric marketing. For a software company (be it licensed or Software-as-a-Service) to get to the decision to do Product-Centric Marketing is often a long and winding road. At times the sales and marketing side of the organization is caught up in what you learn in business school about market-driven successes. That alone can kill the initiative - often helped by other functional areas whose key personnel may also have heard the term "market-driven." Yet, as we discussed in previous posts, to be successful in software the market-driven aspect holds only for the incoming activity, i.e. the feeding of input back from customers and partners back through Product Management & Marketing to Development. 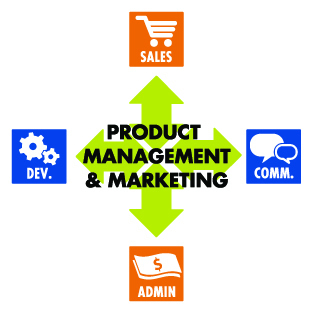 The outbound activity in Product Marketing must be Product-Centric at heart while communicating how the product(s) fulfill market requirements. But once the company MBA's have been convinced, you would think that implementation would be a piece of cake, right? After all, who would be left to protest being Product-Centric? Unfortunately, Product-Centric Marketing is often derailed by Development. Instead of seeing the new way of doing things as a validation of everything the VP of Development has been working on for years, this key person, who may often also be the company founder, instead chooses to view the initiative as an attempt to take away his or her almost supernatural powers. Product-Centric Marketing requires a structured cooperation among all functions (or departments in larger companies). And first and foremost between Development and Product Management & Marketing (PMM). Gone are the days where Development can "surprise" PMM with new functionality that no one outside Development has ever heard of. How can you develop valuable Product-Centric marketing programs with your Communications function if you have no idea what is coming - or, in some cases, what came two weeks ago but nobody mentioned or documented? So it is absolutely key to get Development to buy into the concept: that cooperation based on long and intense discussions with PMM is necessary for the company to generate the desired sales figures. Figures that do justice to the company's great software products or services. Some years ago, a client of ours was, not surprisingly, debating how to accelerate software revenue. Their product and target market segment both set up nicely for a classic reseller channel - yet their efforts over several years had met with very limited success. Our client's conclusion was equally unsurprising: the resellers simply lacked the necessary product knowledge, and their ability to grasp the finer points of the software was lacking. Sounds familiar? It is a relatively common complaint at many software companies: the customers/resellers/partners/salespeople (circle the appropriate group(s), please) just aren't smart enough/skilled enough for our software to sell effectively. And very often it is noted that the group of people in question just don't have "domain expertise in our software." That observation is almost always correct when seen from the development department of the software vendor: the supporters know less than the developers, the salespeople less than the supporters, the channel partners less again, and finally we find the hapless customer who is near zero in domain expertise in the vendor's product. But if we flip around the point of departure, what the customer does have is domain expertise in the problem or process the vendor's software is intended to help solve. And the vendor's channel partner will have a relatively good grasp of the customer's process, but still less than the customer's own personnel. Backtracking all the way back to the software vendor's development department, it is there we find the least amount of domain expertise in the customer's situation. So it's almost a law of nature that these most/least combinations fall along a relatively orderly spectrum. As one domain expertise falls, the other one rises. They work nicely together to make sure that the most important items at each locale get addressed properly. It is the task of a software vendor to make sure that each link in the chain from its own development all the way to the end user gets just the right dose of software domain expertise. Then, assuming that the software product indeed solves the target market segment's problem, software revenue acceleration will follow. This post is a loose translation of my post on the technology business blog at Danish national newspaper Berlingske. Q: How fast will the transition to cloud-based computing take place, and what will it mean to Microsoft and their cloud-based products like Azure and 365? A: This transition will be going on over the next 25 years - meaning that some apps will probably never be migrated. As an example, some of the back-office banking systems in use today were probably written in the 1970s for a mainframe computer - which is where they are also still executed today. The apps with the most value, and with the highest re-development costs, tend to remain where they are... but very little new stuff will be developed for these stagnating platforms (mainframes, minicomputers, file servers, client/server). So the market may be seen as a huge lump of jelly, moving at varyings speeds depending on the segment in question. The established players on the established platforms have a great interest in delaying the transition as much as possible - IBM on mainframes would be as good an example from the late 1980s as Microsoft is now on client-based computing. The market value of Microsoft franchise relies almost exclusively on client-based software. Indeed, it would be easy to argue that the entire life cycle of Microsoft is closely correlated with that of the personal computer. Which was once called a micro-computer... the parallel to micro-software is almost too obvious. It came as no surprise when Microsoft a couple of years ago started talking about "Software and Services" - even when they were speaking at conferences like SaaS University 2008 (http://www.softletter.com/SaaSUniversity/SaaSUniversity.aspx) where the rest of us were doing presentations on Software-as-a-Service (aka "cloud computing"). People that underestimate Microsoft's ability to change and reload have often paid dearly for their beliefs (including this author). And in the current situation it seems that Azure and 365 are true cloud products, or services, to remain in the lingo. But if one draws a parallel back to IBM 20-25 years ago, it would also be a fair guess to say that the product managers of Microsoft's cloud-based services probably have some uphill battles internally in the organization. The whole development will, however, be interesting to follow. I can't recall any example from the history of software where the "defending champion" on the old platform has won the battle for the new one. We can build upon our previous observations in the case of the early commercial development of what eventually would become Microsoft Dynamics NAV. The developer Navision (née PC&C) and IBM managed to cooperate to fulfill market demand, using perfect alignment of the Development, Administration, Communications, and Sales functions, all orchestrated by effective Product Management and Product Marketing. As we noted in our previous blog post, PC&C had a very good understanding of what the market demands were at the time. And they were able to convert that into a first-class product through a largely informal, intuitive product management process that integrated the northwest corner of our model. So the development was definitely market-driven, the product ideas coming from market observations and/or intelligence. And it is easy to argue that any software developer that brings forward a product that at least some players in the market are willing to pay for, has found success in being market-driven. But as most software developers will testify, having a product that some customers will buy, is probably less than half the battle. Then comes all the Product Marketing questions: how will the product be marketed, where, through which sales channel(s), under what name, with which prices, bundled with which other products and/or services, and so on. All those items must find answers, answers that function well with the product itself. This exercise is far from trivial, as many failures will attest to. Changes to any one of those areas will most likely have an immediate and direct impact on perhaps even all the other ones. As a consequence, the Product Marketing function must have great vision, a very wide angle of view, and great attention to detail in the exchange with each of the “four corners” in the model. With those wise and visionary words, we arrive at the perhaps somewhat counter-intuitive conclusion that software success is built upon Market-Driven development and Product-Centric marketing. And that leads logically to naming our model for software revenue acceleration “The Market-Driven/Product Centric™ Model” – or MD/PC for short. In our previous blogpost we discussed how ERP-vendor Navision in its early years managed to achieve significant software revenue acceleration. Due to the short format, we skipped a couple of background items that we’ll pick up in this and following posts. First of all, it’s evident that the software developer was in pretty good synch with the market. They used experience through their existing sales channel to gain feedback with requests for new functionality – and they used incredible sharpness in translating that into product functionality. Although the tiny developer didn’t have a PM function per se, the North-to-West flow from the Sales box in our figure, through Product Management & Marketing, to Development worked very well. Any given company might not have all the boxes in our figure as real or conscious functions. But that doesn’t mean that those functions are not being performed – at some level. What IBM then did very well in this model was to take the product and through a product marketing function, create the communication that the sales channel could use to explain the product’s benefits to the market. In terms of our model, that’s West to East, followed by East to North – both via Product Management & Marketing in the middle. In our experience, these last two steps are where most software companies fail. Such attempts to short-circuit the marketing and communications process are responsible for thousands of derailed sales careers, and probably thousands of soured angel and venture capital relations. So why do software developers, and investors for that matter, so often skip such vital steps? After talking much about how companies may fail to achieve significant sales growth, we turn our attention to a case in which the success was evident. Tiny accounting software developer PC&C had achieved a solid success with its single-user accounting software PC-Plus. The logical product line extension was a multi-user solution. Unusual for a small development company at the time, PC&C’s owners also decided to explore whether they could make giant commercial strides forward at the same time. In an unusually fortuitous deal, the PC&C owners found that IBM in their native Denmark could see an opportunity to couple the upcoming client/server-based, multi-user software with their own PS/2 hardware line. And to employ the IBM PC-dealer channel to promote the offering. The multi-user solution was introduced as IBM-NAVIGATOR. PC&C obviously owned their good fortune to hard work and careful planning, coming off the early success with PC-PLUS. But they also had a bit of luck. IBM Denmark at the time had one person employed, a person with an unusual skill set of deep technical understanding AND remarkable marketing savvy. 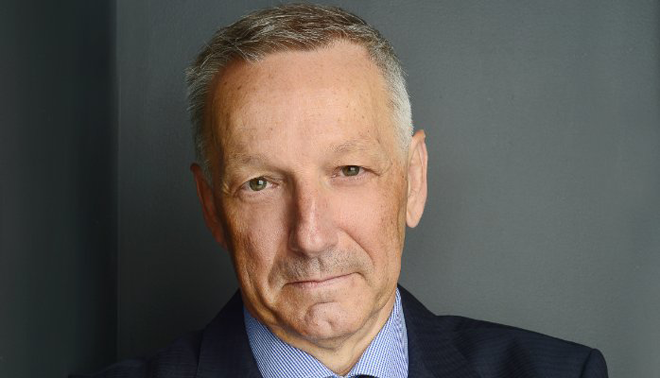 Those in the know will recognize this gifted person as René Stockner, later head of PC&C (by then renamed Navision) in the US, and still later VP of Sales & Marketing worldwide, both in Navision itself and later within the Microsoft organization. Due to his extensive, technical background (he has a Ph.D. in Database Applications and Systems Science) Stockner immediately understood how the software’s architecture and functionality was different from the competition. And he then, uniquely, was able to translate that into concrete benefits for customers, the PC-dealer channel, and IBM itself. IBM-NAVIGATOR almost immediately became a roaring success in the market. For the first time, customers could have a PC-based, multi-user solution that was robust and secure – something that was not lost upon potential mini-computer buyers (much to the dismay of their salespersons, such as this author). And the rest, as they say, is history. IBM-NAVIGATOR became Navision outside tiny Denmark, reaching the shores of more than 20 countries before the company went public in 1999. In 2001 it acquired archrival Damgaard Data before it itself in 2002 was acquired by Microsoft in a deal worth some 12 billion Danish kroner (about US$ 2.25 billion using current exchange rates). So you have finally found a salesperson that can produce real sales growth to accelerate your software revenues. As we examined in the first series of blogposts, that is often very hard to do when you have a groundbreaking software product. Knowledge and understanding of the product are often limited to your own development staff. Prospects, customers, partners, and even non-technical employees all lack the deeper understanding needed to either buy or sell a product that introduces a new way of doing things. But you finally got over the hump, or crossed the chasm, if you will. Revenue is accelerating, validating many man years of development and hard work. 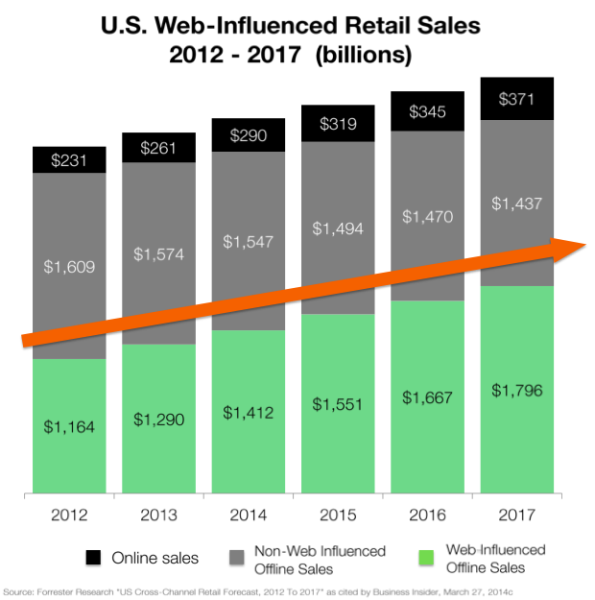 Founders and investors bring out the "hockey stick" – projecting explosive sales growth over the next five years. First we take Manhattan, then we take Berlin, as Leonard Cohen sings. Two years later, that euphoria is often followed by deep frustration. As it turns out, finding successful salesperson Two, Three, and Four is just as difficult as finding salesperson One. But hadn’t we fixed that problem? One knows his/her stuff now - shouldn’t knowledge transfer be easy? Sometimes, yes. But very often, that "knowledge" isn’t expressly formulated. It might be more of an individually developed, almost intuition-based method that the successful salesperson has implemented in a trial-and-error way. So the early, or maybe stubbornly achieved, years-in-the-making, success might not be easily replicated to new salespersons. Even if the sales approach can be consciously described, salesperson One might not be very good at teaching or otherwise transferring expertise. The predictable result is software revenue figures with poor acceleration, year after year – despite expert sales hires and tons of very hard work - leading to deeply disappointed founders, investors, developers, salespersons, and partners. Sometimes careers and/or relationships are destroyed in the process. But that makes the companies that truly succeed in accelerating software revenue that much more interesting to examine. Stay tuned for a real-world example that led to billions of shareholder value being created. Chances are that, somewhere in the organization, you already have several people who possess 3 out of the first 4 items. Your developers do if your product is truly great - although they may lack some of the ability to relate it in lay terms to the average businessperson. And if you have a user guide or manual, you also have someone who is able to communicate. I will argue that it's a lot quicker, on average, to teach a technical person with communication skills to sell (i.e. items 5 and 6), than it is to teach a sales professional the product and the market (i.e. items 1 through 4). History is filled with successful examples. Among those that I'm familiar with, ERP-developer Navision (acquired by Microsoft in 2002, now MS Dynamics NAV) had as their first salesperson exactly the one who wrote the manual. I know that this very successful former CEO will argue that he was selected as technical writer and salesman mainly because the other two founders were better programmers than he was :-) But that would obviously be selling himself short. In a situation where time to market is of the essence, which is every situation, you could gain valuable time by pursuing this alternate path. I know that every venture capitalist and every headhunter will probably tell you otherwise. But it is truly sad to see promising software companies spend years and years, money and efforts, going through salesperson after salesperson, who "just wasn't good enough" to achieve significant software revenue acceleration. This alternative path may not be doable or practical for every software company, but it would, at the very least, be worthy of serious consideration. In the latest blog post below we discussed what it takes to be a good salesperson of a ground-breaking software product. In this context we’ll interpret the term “software” broadly, meaning licensed pc products, server products, subscription-model Software-as-a-Service products, etc. So, contrary to one’s immediate thinking, the more competition a product has, the easier it is to sell – assuming a person skilled in sales techniques. Yes, there’s more head-to-head selling, beating each other up on speeds-and-feeds as well as on terms and pricing. But the educational effort is probably not needed at all as the prospect already understands the product and its benefits well, and he’s probably also able to calculate the financial benefits in terms of ROI (Return on Investment). That broadly takes care of items 1-3 in the list above, and in a very mature market, probably also of item 4. With only items 5 and 6 left as requirements, the pool of available talent becomes quite large and finding the “right” salespersons is a manageable process. Whereas the pool of talent covering all 6 items ranges from small to non-existent, depending on the product and the size and maturity of the prospects’ industry and/or function. Hence, a truly great software product that takes care of previously unsolved challenges, and one “without competition,” may indeed present an often insurmountable problem when it comes to finding even “good enough” salespersons. Whether you call it “Crossing the Chasm” or “Commercialization Challenges” the problem remains very real to thousands of software development companies.